The Whitsundays are an ideal place to vacation with your family and see all the amazing sights that this amazing part of Australia has to offer. With Whitehaven Beach, Hill Inlet Lookout, Airlie Beach, the islands and the reefs, there is so much to see and do, especially with kids in tow! There are plenty of family friendly day tours that will allow you to enjoy the Whitsundays with your family. Some have age minimums for passengers, while some are great from infancy and up! We have outlined restrictions below, to ensure you and your entire family can enjoy your day. Reefworld is a unique experience ideal for the whole family! Go to the Outer Great Barrier Reef during this day trip and get to explore the diverse and amazing underwater landscapes. With snorkelling, and underwater observatory, a glass bottom boat and more, there is something for every member of your family. This fast cat sails around the Whitsundays with one snorkel location, Whitehaven Beach and Hill Inlet Lookout on the itinerary. It has a buffet lunch with an on board BBQ and plenty of deck space for relaxing in between destinations! This popular day tour calls you to do it all and get a little bit of a sleep in. Starting at 10am, Ocean Raftings fleet of ducklings departs Abell Point Marina for a fun-filled, family friendly day in the Whitsundays. You'll get to visit both ends of Whitehaven Beach, as well as go for a snorkel in one of the Whitsundays' amazing reefs. Ocean Rafting's Northern Exposure tour allows for 2 snorkels, a visit to Whitehaven Beach and Hill Inlet Lookout. The fast speeds combined with the stable boat make this an ideal fast trip for those who are wary on the water and would prefer to spend less time getting to their destination. Derwent Hunter allows for an amazing sailing experience on board an authentic tallship. This tour visits one snorkelling location, a visit to Bali Hai and a visit to Langford Reef. This full day trip is family friendly and a great way to explore the islands. This full day trip throughout the Whitsundays allows you do it all. Sail through the Coral Sea and experience snorkelling, Whitehaven Beach, Hill Inlet Lookout and even try your hand at helping to crew sail. Reefstar Whitsundays Island Cruise will take you and your family around the Whitsundays on board a comfortable power catamaran. The stable design makes it perfect for the whole family and the air conditioned interior will keep you comfortable all day. Children under 3 travel for free. This one day tour will take you around the Whitsunday Islands, snorkelling, relaxing and even scuba diving. With a stop at Whitehaven Beach and Hill Inlet lookout, Whitsunday Bullet is a full day adventure where you'll see all the best the Whitsundays has to offer. Big Fury is one of the fastest boats in the Whitsundays and takes up to 36 passengers at a time. Not only is the thrill of the ride the best part of the day, but it also gets you to where you want to go faster! 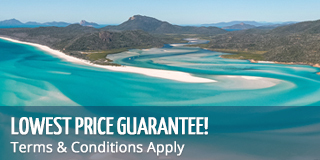 Snorkel, swim, play at Whitehaven Beach and enjoy Hill Inlet Lookout. Southern Cross is a day trip favourite, where guests get to sail on board a baby tallship. 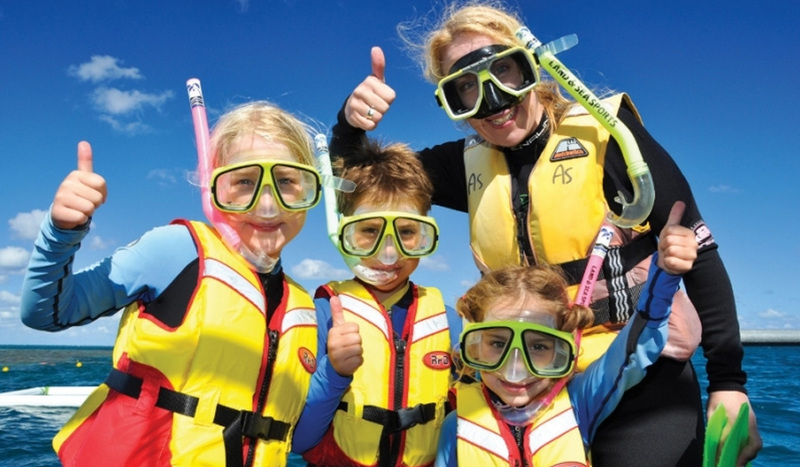 Snorkel, swim and sail all in one day with the whole family. This fast red cat is a great day for the whole family. As one of the most stable day tours in the Whitsundays, this is a great trip for those who worry about seasickness. You'll visit two snorkel spots and two beaches, including Whitehaven Beach! This day tour gives your family up to 6 hours on Whitehaven Beach, a bushwalk at Chance Bay and Solway Circuit and a stop at Hill Inlet Lookout for some spectacular views, as well as some ample cruising time through the islands themselves. Whitsunday Jetski tours offers 2 amazing tours in the Whitsundays; the Airlie Adventure, where passengers must be at least 8 years old, and the Two Island Safari, where passengers must be 12. All drivers must be at least 16 years of age. Mantaray is a diving focused vessel for those that want a day trip packed with scuba diving. This tour also features a quick trip to Whitehaven and Hill Inlet Lookout, ensuring you get to see all the best of the Whitsundays with your family. Children under age 4 travel free. Whitehaven Xpress is great for the whole family and gives you plenty of time on the beautiful and infamous Whitehaven Beach. This tour will also get you to Hill Inlet Lookout and for one amazing snorkel at one of the many beautiful reefs in the Whitsundays. Children under 3 travel for free. Illusions is primarily a diving vessel, but still take guests of all ages on board. This is a great tour for those who want to take the whole family along as they enjoy a diving adventure in the amazing Whitsundays. It also offers snorkelling on board for those who are unable to scuba dive.